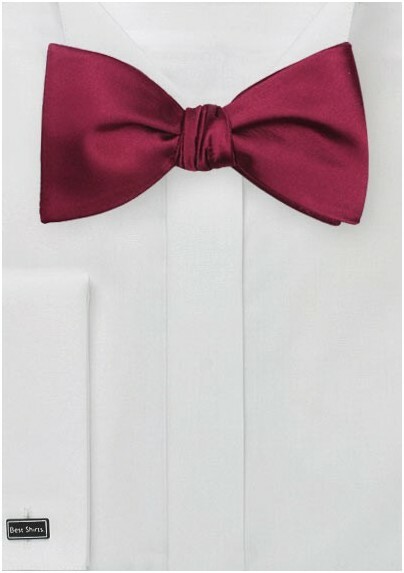 This rich burgundy red bow tie was made in a formal self-tie style and comes shipped with gift box and bowtie tying instructions. The length can be adjusted to accommodate most neck sizes. 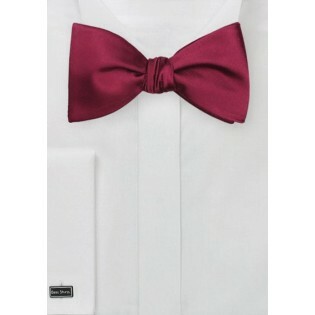 Also available as pre-tied bow ties, pocket squares, and in different necktie sizes.